Submitted 5 months 1 week ago by feeds_user. 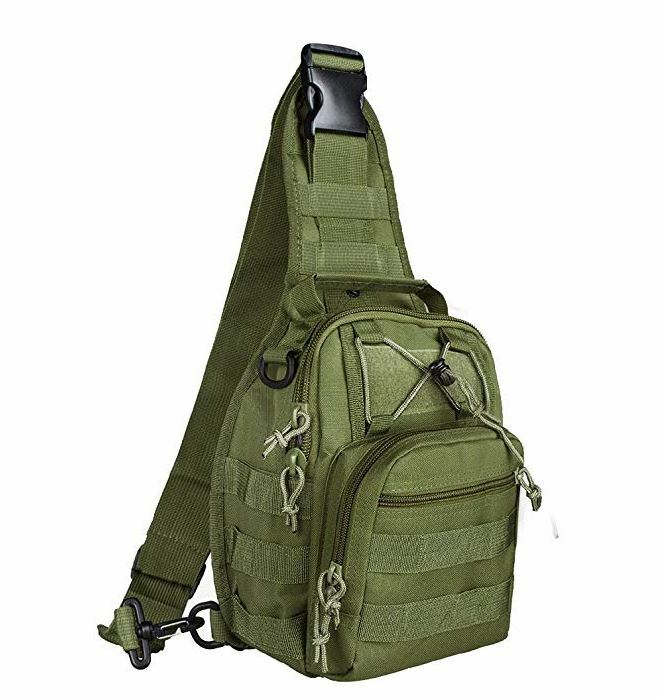 Fashion design:The tactical backpack has compact appearance, conform to the tactical trends, easy to carry. Multiple storage function: the main inter pocket with three auxiliary pockets’ design,The single shoulder bag is easy for categorizing and storing and keep your items in order. High quality fabric: nylon fabric, wear-resistant and anti-tearing, waterproof, long use time, saving cost of living. Versatility: The Oxford cloth bag is suitable for outdoor cycling, leisure, office and short distance travel, can be loaded with iPad, mini radios, smart phones, wallets and other daily necessities. Carefree experience: Quality assurances with 24 months. If not satisfied, support return, replace or refund.